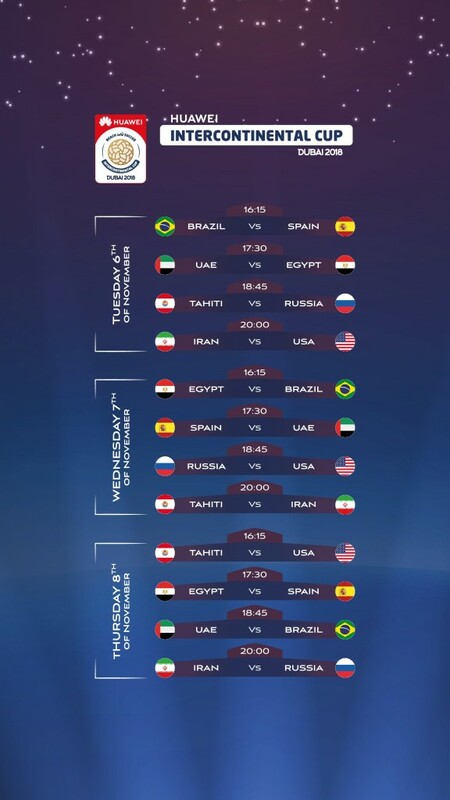 Hosts UAE will take on familiar rivals Egypt in their opening match of the eighth Huawei Beach Soccer Intercontinental cup, taking the pitch at Kite Beach after the battle between three-time winners Brazil and debutant Spain on Tuesday, November 6. The Whites have not had much joy since, winning only one of their 12 matches in the following four years. So a strong start against Egypt, who are making their fourth consecutive appearance at the tournament, will be crucial to UAE’s hopes. 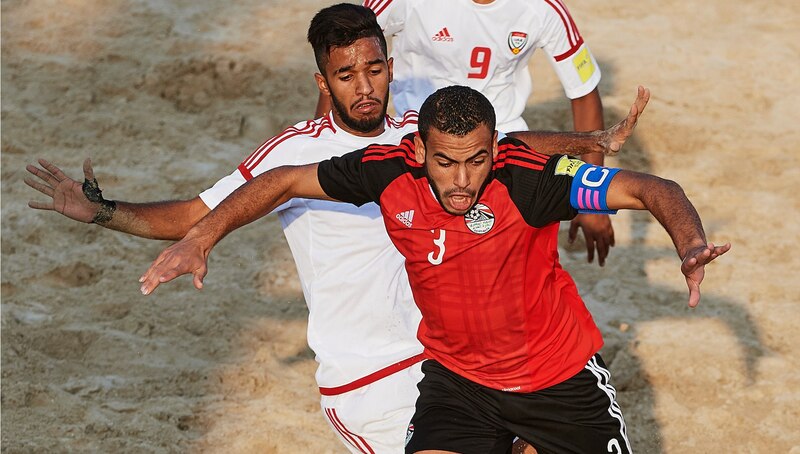 The Emiratis have met Egypt twice in the Beach Soccer Intercontinental Cup – in 2017 and 2015 – and have lost both matches. This year, a state-of-the art stadium on Dubai’s Kite Beach will host the Beach Soccer Intercontinental Cup, which is one of the most anticipated and prestigious beach soccer competitions in the world, one that features the globe’s best teams in the beautiful and unique city of Dubai. The tournament, which will see Huawei as the presenting partner for a second consecutive year, will take place between November 6 and 10. Al Ain kept the pressure on Sharjah at the top of the Arabian Gulf League after securing a 2-1 home win over 10-man Shabab Al Ahli. At the Hazza bin Zayed Stadium, the hosts broke the deadlock in the 41st minute, when Husain El Shahat converted Tsukasa Shiotani’s well played low cross with a brilliant first-time strike. The visitors were later reduced to 10 men when Hassan Juma was sent off just before half-time. Zoran Mamic’s side made the extra man count as three minutes later Caio found Mohamed Abdulrahman near the edge of the box with an accurately crossed free-kick. The UAE international then did the rest as he cleverly volleyed into the back of the net to double Al Ain’s lead. 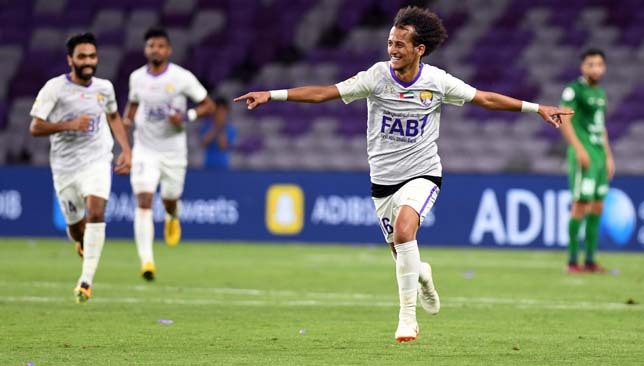 Luvannor pulled one back for Shabab Al Ahli, when his left-footed curled free-kick went past Al Ain’s goalkeeper Khalid Eissa, reducing the deficit in the 66th minute. Meanwhile, Sharjah maintained their perfect start to the season as they thrashed Fujairah 4-0. Welliton’s sixth goal of the season gave the King the lead after just four minutes before Igor Coronado make it 2-0 just before half-time. The former Palermo man then doubled his tally for the evening with a simply tap-in as Sharjah made it four wins from four. Meanwhile, Al Nasr are still waiting to register their first points of the season after Ivan Jovanovic’s side suffered a 3-1 defeat to Ittihad Kalba. Matei Florentin opened the scoring for the hosts before former Manchester City and Valencia striker Alvaro Negredo equalized with his first goal since arriving from Besiktas this month. Hassan Khamis restored the lead for Ittihad Kalba before Mansour Al Bloushi extended their lead to make it 3-1. The result means Al Nasr have lost all four of the league games this season. 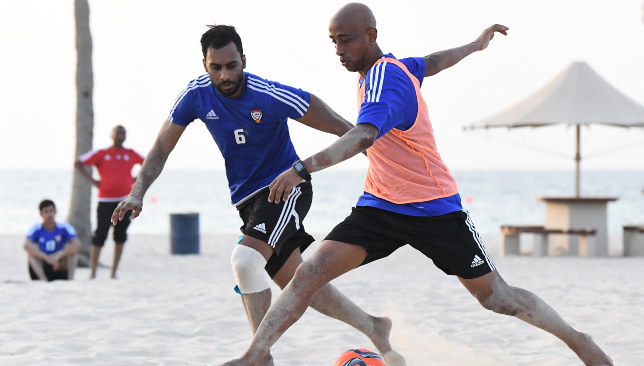 UAE preparations have begun in earnest for the eighth edition of November’s Beach Soccer Intercontinental Cup. A 20-man squad has taken to Dubai’s Al Mamzar beach until September 28 as they attempt to get in prime shape. They will then play four matches in Kuwait against their national team from September 29-October 11, with a series of other friendlies set to be arranged prior to the global competition running from November 6-10. “The focus for the first stage has been on fitness exercises and the preparation of the players after a period of suspended action,” said coach Mohammed Al Mazmi. “I must praise the cooperation of the players, plus their keenness and their commitment to training and dealing with things seriously. This will greatly help the difficult task ahead of us in the Beach Soccer Intercontinental Cup. The UAE experienced a breakthrough 2017. They were defeated by Iran in that March’s AFC Beach Soccer Championship, thus sealing a return to the subsequent Beach Soccer World Cup where they narrowly exit Group C.
Brazil are the holders of the Beach Soccer Intercontinental Cup. They won at a new venue in Dubai’s Business Bay.